If you’ve had that one wish in life to be able to fly this is as close as you can get! 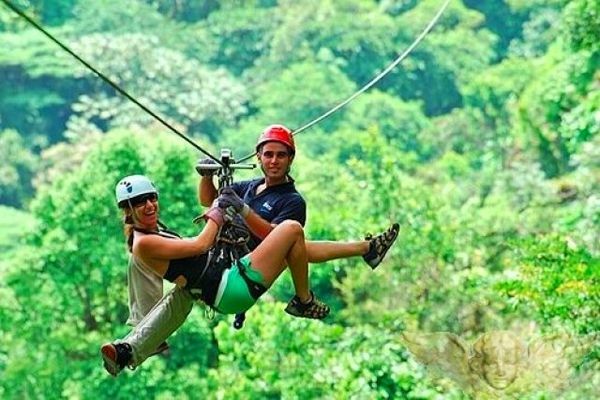 With over 2,500 meters of zipline cable, you will soar through the Caribbean jungle and see the world from above. Don’t miss out on this thrilling canopy tour; there is really nothing quite like it! Transportation, snacks and equipment provided. After your canopy tour a snack will be provided as well as transportation back to Puerto Viejo. What to Bring: Close toe shoes, light comfortable clothes, repellent, sunblock, water, camera attachable. Physical conditioning and consistent exercise prior to these trips is essential. These trips are suitable for a novice, but you may find yourself doing some good work out while going from one platform to the next.